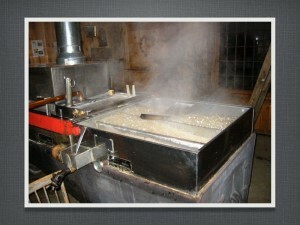 The Best Maple Syrup in New England! It may be officially still winter but spring is on the way. Brian started tapping today after the serious winds of yesterday have died out. No fun trying to hang buckets when the wind will blow them down as fast as you can hang them!!! 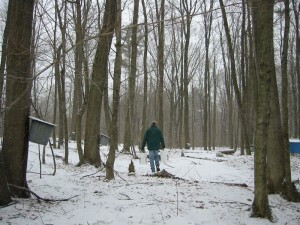 LOL The New Hampshire Maple Producers Association held our Regional Meeting this past Tuesday and many producers at the meeting had yet to tap out. But it sounded like we’re all set to get started this week waiting for the next batch of warm weather to get the trees going. 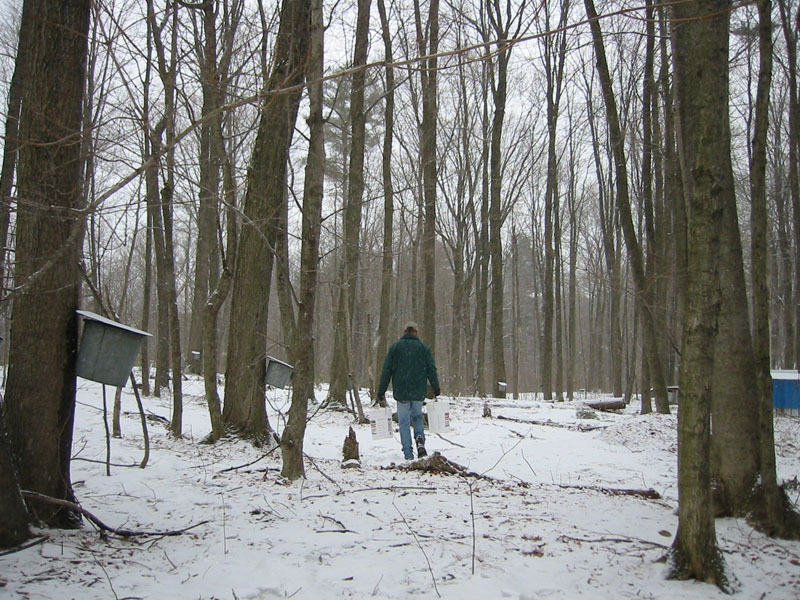 With any luck Brian will be out collecting before the end of the week and we’ll have some sap to boil to sweeten the pans. We won’t make much if any syrup when that happens because most of the partially concentrated sap stays in the pans to create the various sugar levels of the processing. But it’s still chilly so it’s the wait-and -see game now. Once we get that going, it’s always good to see and hear the evaporator roaring along with a hot fire and lots of steam rolling off. 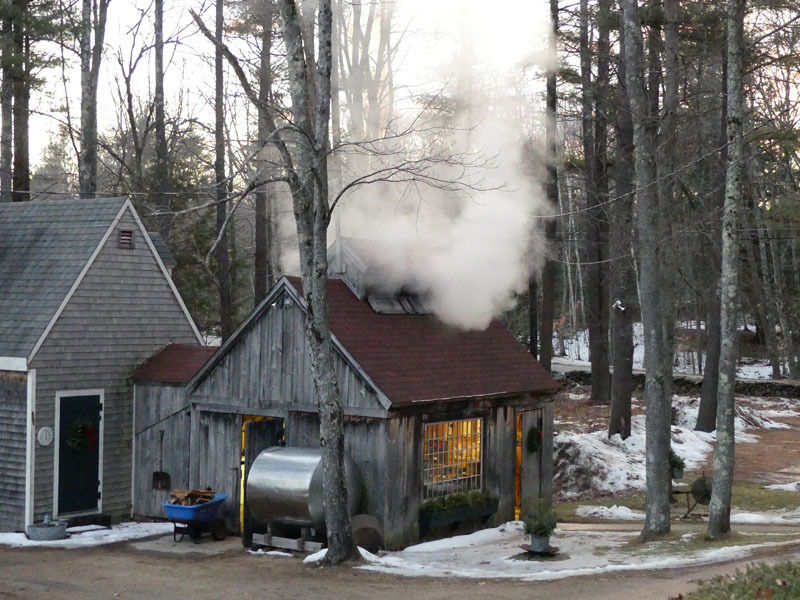 The heavenly aroma of maple syrup being boiled is something you never get tired of.